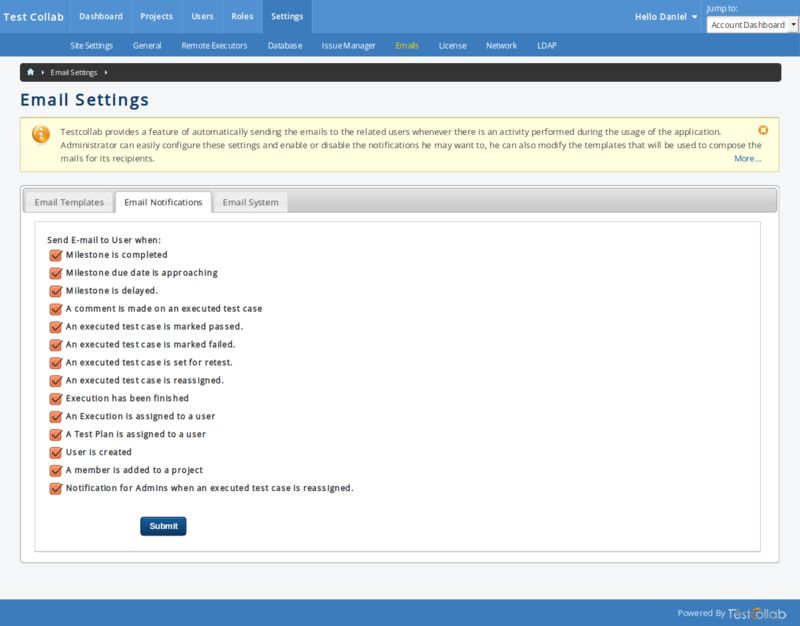 Test Collab provides a feature of automatically sending the emails to the related users whenever there is an activity performed during the usage of the application. 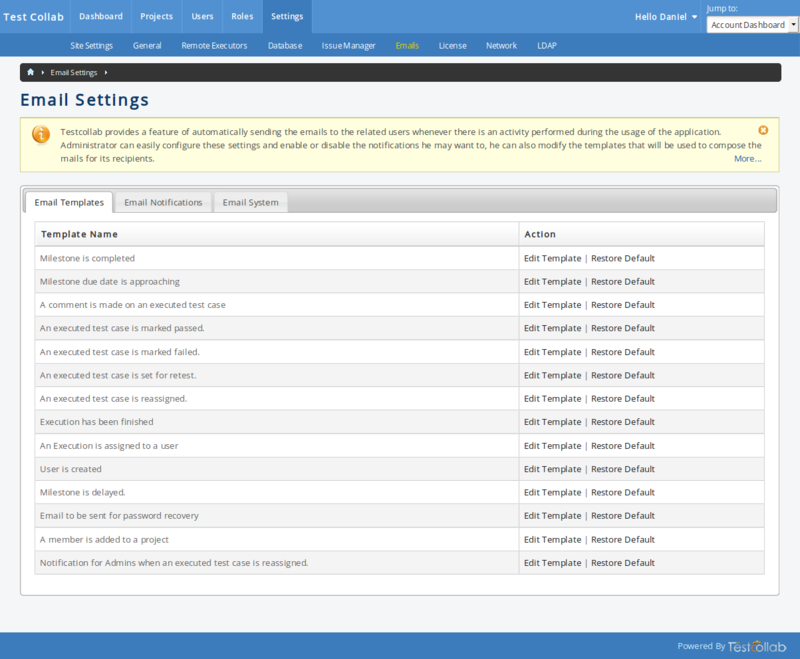 Administrator can easily configure the related settings and enable or disable the notifications he may want to. 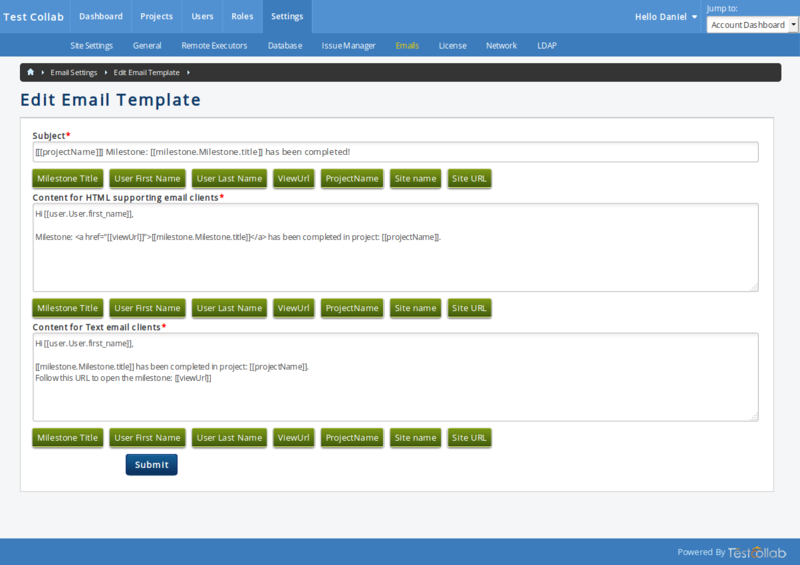 Administrator also has the option to modify the template that will be used to compose the mails for its recipients. The templates are categorized / named to clarify the event/action they related to, administrator can, at any point for any template, choose to revert to the default template. Each section allows user to change the text for that along with option to merge certain predefined fields that are relevant to the context (action) for which mail template will be used. And user can use the HTML tags inside the text box for HTML contents. For any event, administrator can opt to restore the default template been offered by application.